Interesting work from the 15th century, which allows us to see how a castle was arranged when the use of artillery, arquebuses and cannons, had been established. It was built on a plain, and it preserves both its interior and towers, as well as the exterior enclosure and the moat. By going around its expanse fully we can better understand its architecture. 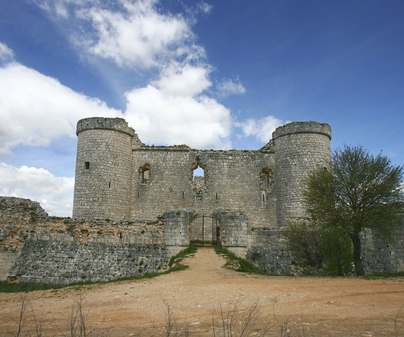 The main gate, to the South, was accessed by a draw bridge and was flanked by two solid round turrets, similar to the ones that reinforce the wall of the exterior enclosure at its corners. Walking towards the East, we will find the gate of the interior enclosure, arranged in a zigzag with respect to the main entry point, therefore making assault difficult. 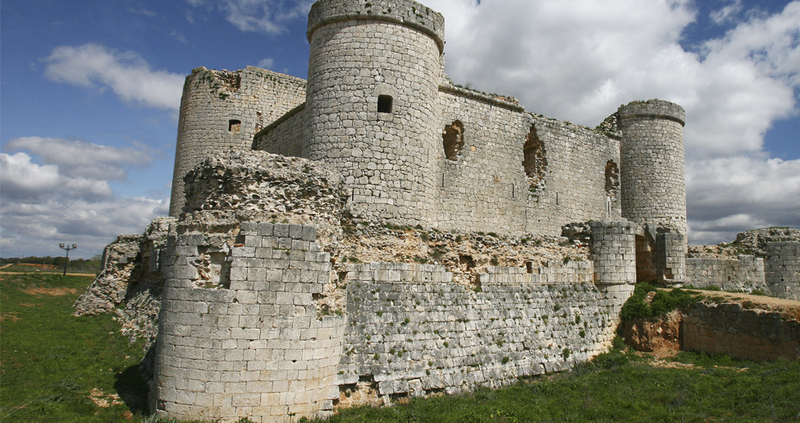 From here we can see the large tower keep, whose gate is elevated two meters from the ground. It is in the corner of the second enclosure, which houses the parade ground, and whose corners dispose of cylindrical towers, with their gates. The future cardinal Pedro Gonzázlez de Mendoza ordered its construction in the 15th century, although before it was finished, Pioz came to belong to Alvar Gómez of Ciudad Real, who finished it, and resided in it until his death. The fortress never came to have military use. Free access to the exterior. To visit the interior, connect the city government of Pioz, telephone 949 272 162. You can see in the walls turrets called cruz y orbe (cross and globe). The globe is the round circle in which the cannon of the arquebus would go. The soldier aimed looking through the cross located above it.